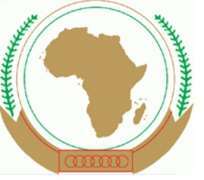 ADDIS ABABA, Ethiopia, October 10, 2013/African Press Organization (APO)/ -- The Chairperson of the Commission of the African Union (AU), Dr. Nkosazana Dlamini-Zuma, has learnt with relief of the release of the Libyan Prime Minister, Ali Zeidan, who earlier had been kidnapped in Tripoli. The Chairperson of the Commission strongly condemns the unacceptable kidnapping of the Prime Minister and stresses the need for all Libyan stakeholders to seek solutions to their differences within the framework of the existing institutions and a comprehensive process of national dialogue. She calls on all Libyans to extend their support to their legitimate institutions to enable them to address the challenges at hand and effectively fulfill their mandate, notably by bringing to a successful conclusion the current transition. The Chairperson of the Commission reiterates the AU's commitment to continue supporting the efforts of the Libyan authorities to stabilize the country and successfully conclude the on-going transition.